March Madness may have ended months ago, but that doesn’t stop Rodrigo from betting on other broadcast TV competitions. 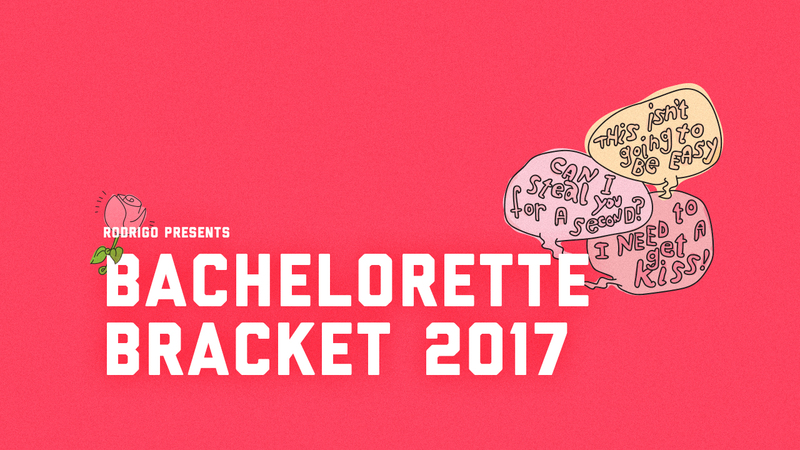 It’s Bachelorette season and we decided to design our own bracket, one with a simpler layout but sprinkled with just the right amount of cheez. Interested in starting a pool with your friends? We recommend you cross out the 4 guys you think won’t make it pass this next Monday’s (May 29th) rose ceremony and work from there. Good luck to placing your bets on who you think will receive Rachel’s final rose! You can see the bracket below, or download it here.